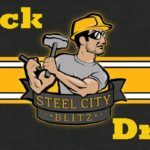 Every year, I tell a lot of people that the Steelers, despite never saying much, are a team that you can get a pretty solid idea of their draft direction if you pay attention. The Steelers don’t tend to waste time on smokescreens. This year it’s pretty clear cornerback, safety, and defensive line are the top priority and I wouldn’t be surprised at all if they get those 3 positions in the first 3 rounds. The problem is, I don’t know which goes first, and whatever happens first will determine how the next 2 rounds go. Last season, I feel like I did as well as anyone could, hitting on 3 consecutive picks (and I wonder if I wouldn’t have done even better if Marcus Peters had been available in round 1). Check out my final 2015 mock here. I have to get it in now, because this is really the last time I can brag about it before the picks below ruin all my credibility. I’ll toot my own horn for my 2015 mock, and I will point and laugh at my failure that was my 2014 mock here. I will forever have a soft spot for Rob Blanchflower for saving me from getting completely skunked. I’ve changed this pick several times. Full disclosure, I “finished” this entire mock and had Eli Apple slotted here. The more I thought about it though, the more I just thought Apple’s skillset doesn’t fit the Steelers’ scheme at all… Two years ago I said all off-season the Steelers would have no interest in Darquenze Dennard because he didn’t fit their scheme and I let the general consensus sway me, and I begrudgingly mocked him to the Steelers; and then they passed on him. I’m sticking to my guns this time. It’s not that I think they want to pass on a cornerback again. As Colbert has said, it’s more coincidence that they haven’t selected a 1st round corner in so long than philosophy. I think they may have taken Marcus Peters or Kevin Johnson last year if they were on the board. I think if William Jackson III is on the board at 25 they pull the trigger on a cornerback… but cornerbacks with his size that run a sub 4.4 forty don’t typically last until the 25th pick. So, onto who I do think the pick will be. 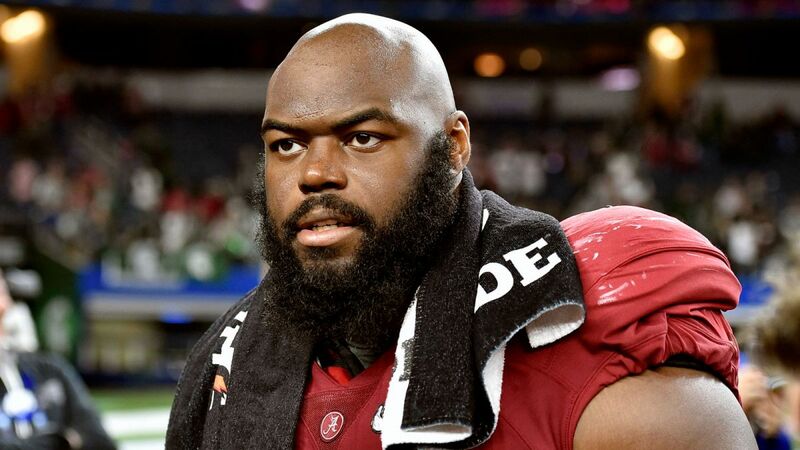 Early on A’Shawn Robinson was seen as possibly the first defensive tackle to come off the board in round 1; however I think some of that was just that he went to a high profile program. So how’s he go from the top guy at his position to the end of the round? As time has gone on, Robinson’s stock has started to fade a bit. I think that Jarran Reed, Sheldon Rankins, and Andrew Billings probably all go before he does, leaving him on the board for the Steelers. Robinson is a very instinctive, and powerful player, but he lacks the athleticism to be a real contributor in the pass rush department. I think the Steelers can live with that because they’ll love his versatility. Robinson has the strength against double teams to occupy the nose tackle spot in their 3-4 alignment. 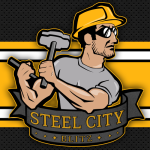 He has the length to move to the outside and give Cam Heyward and Stephon Tuitt some plays off in what has really becomes their true base defense, the 2-4-5 (nickel) alignment, and I think possibly down the road he’ll line up next to Stephon Tuitt as a defensive tackle in alignments that feature 4 down lineman. Keith Butler has a lot of different formations he likes to tinker with, and I think Robinson could be a guy that fits them all, probably better than any other lineman in this class. Robinson just fits the black and gold to me, unlike Eli Apple; even down to the fact that he doesn’t smile. Robinson and James Harrison may become best friends in the lone season playing together. Throughout the entire draft process I’ve felt like round 2 would be the sweet spot for grabbing a safety. 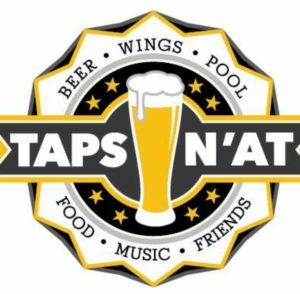 I think they can get a value at the spot, and I think that Mike Tomlin is a big fan of Keanu Neal but I am going to guess that he doesn’t make it to this pick. The team has worked out a ton of safeties that I think could be real possibilities here. I also think maybe a cornerback slips to them like Artie Burns or Mackenzie Alexander. Sean Davis isn’t a guy that’s been talked about a lot or mocked to the Steelers but they were present at his pro day. Davis played cornerback in his senior season at Maryland and made some plays, but I think that he’ll be a better NFL safety (though the cornerback experience doesn’t hurt). Davis is a guy that looks to hurt people when he’s coming downhill, and finished 2nd in the country with 5 forced fumbles as a senior. He’s a big, strong, athlete that should have no trouble covering tights ends and filling the box against the run. Davis isn’t someone many Steelers fans are talking about but I think his playstyle could quickly make him a fan favorite in Pittsburgh. This is where things start to get interesting. I think the Steelers often like to go best player available while also addressing needs in the top 2 rounds, but the 3rd is where they sometimes get a little creative. I’m not sure there’s a cornerback here that they’ll be in love with. I think they’ve worked out so many so they have a good idea of who guys are when they’re seeing what’s left on day 3. Sterling Shepard is the anti-Martavis Bryant in a lot of ways and I think he’ll be really tempting if he’s on the board in the 3rd round. Colbert said in his press conference earlier this week, when they (Colbert and Tomlin) have missed on picks, it’s typically been a lack of “hearts and smarts.” Shepard is not lacking in that department. Shepard is undersized and may be limited to the slot… but then again, they said the same about Antonio Brown. I hate to compare the two, because Brown is on pace for a hall of fame career, but Shepard does have a lot of AB in his game. Shepard thrives on defensive backs with superb route running and hands. He doesn’t have the wiggle that Brown does in open space (not many do), but he wins in similar ways. Another guy I think he shows a lot of similarities to is Miami’s Jarvis Landry who I was also a big fan of coming out of LSU. Shepard would be a nice insurance policy if Markus Wheaton wants too much money and Sammie Coates doesn’t develop the way they’re hoping. He could also hopefully take over some of the return duties immediately as well. No cornerback until the 4th round?!? I know. I just didn’t have a good feel for one if the team doesn’t take one in the first round, like William Jackson. I’m wondering if Kevin Colbert may have given us a little bit of a clue when he said at his pre-draft press conference that the team will be paying close attention to the waiver wire after the draft. I think maybe that is where the Steelers find a cornerback, preferably a veteran with so much youth at the position currently, and preferably someone with some size. Love them or hate them, Ross Cockrell and Antwon Blake were both post-draft waiver wire pickups that started at cornerback. Last season I just had a hunch about Jesse James. In my mock written last year I wrote “If I had to guess on one guy ending up in the black and gold it might be James.” I’m not sure I feel as strongly about Young, but I do just get a hunch that the team will take a liking to him. Young is a very talented and physical cornerback with good ball skills, that would probably be a day 2 pick if he wasn’t just 5’9″. He starts to get grabby when dealing with bigger receivers, so he’ll probably be limited to the slot as a pro. Maybe I’m wrong to have him this late, but I just think his lack of size will work against him on draft day, but his attitude and cover skills will earn him a spot on an NFL roster. Striker falls this late in the draft because he’s a guy without a position in the NFL. He excels in coverage and rushing the passer on the edge, but isn’t big enough to be a true edge rusher. He’s got safety size, but likely doesn’t have the speed to be a true safety. The Sooners didn’t care, they played him all over the place and let him be a football player. Very confident player, with a bit of a mean streak. Officially I think Striker will be listed as an ILB, and would fill the void left by Sean Spence and Terrence Garvin this off-season. I think he has potential to be a good special teams player, and possibly could be a guy that eventually replaces Lawrence Timmons on passing downs. If the Steelers take him, they’ll need to find him a spot he can thrive in but he has some tools to utilize. The Steelers will add a Quarterback somewhere in this draft, and I think it may even be earlier than this. Kessler was the first guy they showed interest in, and I think may be one of the better fits. The Steelers aren’t looking for their next starter, they’re looking for someone that can complete easy passes and manage the game; something Landry Jones and Michael Vick weren’t even capable of last year (despite somehow winning a couple of games). Kessler has a limited arm, but he does have good short throw accuracy and some athleticism… Think and even more game manager-type QB version of Alex Smith. I know that “game-manager” has become a dirty word to describe Quarterbacks. Big Ben naysayers often affixed the label to him early in his career, but that’s exactly what this team needs. This offense has a ton of weapons, the team just needs a backup capable of getting the ball in their hands consistently. 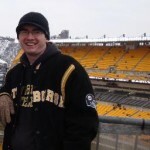 In trying to research the guy that the Steelers met with at his pro-day, I found his bio on Tulsa’s website lists the Steelers as his favorite team. Alexander Jr will probably end up being undrafted, but I’d say there’s a good chance he ends up in camp regardless. He doesn’t have ideal size for any one position in the Steelers’ scheme, but their interest in him shows they want a mixed bag of guys in their defensive line group. Alexander is a 6’2″ 270 pound tackle/end tweener. My guess is he eventually finds a home primarily as a defensive end in formations with 4 down lineman. Regardless of where Alexander plays, he typically manages to find the ball and plays with fire. Of the 7 picks you made your 1st, 2nd and 4th round picks but other than those 3 picks the other 4 I have issues with. Eric Striker in the 6th come on man he has no true position on the filed and your asking Keith Butler and Joey Porter to find a spot on the Defense I have serious doubts the Steelers would take him. Either he adds the weight needed to play ILB or he is of no use to the Steelers. If your looking for a WR for the Steelers to take in the mid rounds Paul McRoberts is someone to watch out for. If Alexander’s home is primarily in 4 down lineman formations why take him at all? I can see the Steelers taking a QB but since there open to resigning Gradkowski I think they will take a versatile OL in the 7th round. I really like your mock, and i’m serious. You fill a bunch of needs, though some of the players you selected would never stick but that going to happen every year. What i find most interesting is that you refer to the Steelers nickle as a 2-4-5 which i see and not a 3-4. Well enjoy the draft and shot at you later.